Find Out About Summer Camps In Our Community! The 2016-17 Village of Larchmont budget was discussed last week at the Board of Trustees meeting. Currently, there is a $460.000 budget gap. According to Village Clerk, Justin Datino, the main expenditure increases include salary, operating and supply lines, transfers to the capital budget debt service, health insurance and workers compensation insurance. Library and sanitation services are also factors in the budget shortfall. There is a proposed law that states that a property tax increase of 3.5 % will be necessary to balance the budget for homeowners, increasing the average tax bill by $177. A public hearing was set for March 28th to discuss the 2016-17 budget as well as the proposed local law to increase the tax levy. The Town of Mamaroneck Board passed the law to increase the tax levy but only if necessary. However, the 2016-17 budget passed without the need to increase the tax levy according to Town Clerk, Christina Battalia. There is a proposal to make an amendment to the Village of Larchmont Code, Chapter 229 that will create a set of taxes, or more specifically, a sewer rental fee. The fee will cover sanitary sewer costs based on water consumption by property. The proposal is part of a New York State law that allows municipalities to impose a sewer rent which will provide local governments to raise funding for maintenance of the sewers in the area. The Village is in an agreement with Westchester County to conduct a Sanitary Sewer Evaluation Study, also known as the SSES by May of 2018. The study will help determine what needs to be done by conducting an inspection of the sewer system. The study costs about $20,000. Currently the Town of Mamaroneck, Scarsdale, Port Chester and White Plains have sewer rental fees in effect while New Rochelle and Pelham Manor are considering a similar fee. On March 15th, the Larchmont Mamaroneck Local Summit hosted Rye Neck School Superintendent, Dr. Peter Mustick and Mamaroneck Public School Superintendent Dr. Robert Shaps. The discussion included the state of the districts, challenges and initiatives facing the ever-changing needs of the students in the area. Dr. Shaps talked about the proposed school-based health center model at Mamaroneck Avenue School, the future of Co-Op Camp and challenges to the budget. Dr. Mustick also discussed budget challenges. He also spoke about the Pre-K Week-Long Pilot Program that would enable children to acclimate with public schools before entering kindergarten and how AP Language students are working with elementary school students and parents to communicate on school matters. Both superintendents emphasised the upcoming budget hearings and votes, and how difficult it is to stay within budget every year when the state requires new additions but do not offer any aid. Dr. Mustich added that on a recent trip to Albany for Lobby Day to discuss the expense cap and state aid. Superintendents from all over the county told that “the governor had no appetite to talk about this and things were as is”. He stressed that the state aid and expense cap would help both districts to consider how expensive it is to live in Westchester but also how important it is for parents to be involved and to make their voices heard. You can watch the full Summit Meeting, as well as other local meetings on our website, http://www.lmctv.org. In our Round Table discussion, Mike Witsch spoke with Sandy Korkatzis, Superintendent of Recreation, Village of Mamaroneck and Jamie Weisinger, Owner of MADE: My Art + Design Experience about summer camps in the community. Bradley, an adorable Pekinese mix, is our Pet of the Week. He is about 10 years old and weighs about 15 pounds. He has been living in a foster home with one other dog. He is blind and needs time to adjust to new people and environments. He is easily scared by loud noises and as a defense mechanism, will growl and bark. Bradley prefers an adult-only home and could benefit from another dog who is calm to follow. He is waiting to start a new live in a forever home. If you like this program and want to keep it on the air, please support us by checking out our website at www.lmctv.org. We appreciate any contribution. 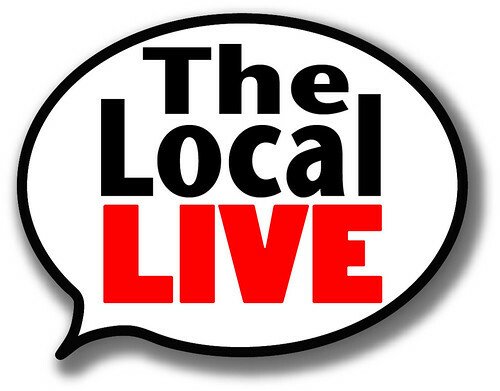 We are always looking for new interns and volunteers, so send your emails to thelocallive@lmctv.org and join us. We love hearing from you. As we have reported before, Community Choice Aggregation is a New York State pilot program created by the non-profit organization, Sustainable Westchester. The program would allow local municipalities in the county to negotiate the lowest electricity and natural gas prices for their residents. At present, the Village of Larchmont, the Town of Mamaroneck, the Village of Mamaroneck, and 20 other municipalities around the county have passed local laws that enable them to participate in the pilot program. At the latest Village of Mamaroneck meeting, the Board discussed which Community Choice Aggregation suppliers should be chosen. The first supplier option, which is referred to as “green”, comes from the idea of renewable energy and the second option, “brown” refers to fossil fuel. The green option would reduce Con Edison bills by 5% of their current levels and the brown option would reduce Con Edison bills by 8%. David Styler, the Chair of the Environmental Committee, stated that the recommendation from his board was to adopt the green option. The Village voted unanimously in favor of the green option. Con Edison Solutions would provide this service. If you are not a Con Edison customer, you won’t be able to get the reduced price on your energy bill, a fact that was pointed out by Trustee Leon Potok. Con Edison would be in charge of notifying residents of the automatic changes to their electric bills. Residents can opt out of the program by contacting Con Edison. We have been following the Village of Mamaroneck’s initiate to protect puppies and kittens from puppy mills, also known as “the Dog Law”. As was reported before, there were two proposed local laws “A” and “D”. Proposed Law “D” passed, which fully forbids the sale of commercially bred puppies and kittens and only allowing the sale of pets from rescue organizations. But what would happen with Proposed Law “A” which regulates pet store owners and only allows them to sell animals from licensed USDA breeders? The Board has withdrawn this proposal and is currently rewriting it since was declared inconsistent with Local Law D, which was passed on February 22nd. Dredging, the act of excavation done underwater in shallow sears or freshwater areas in order to gather bottom sediments and disposing of them at a different location, was recommended by the Harbor Coastal Zone Management Commission. The process is allowed by the Board of Trustees in Mamaroneck Harbor. The vote was 4-1 supporting the HCZM Commission’s recommendation. Trustee Lou Santoro voted against it. At the same meeting, the Village of Mamaroneck Board of Trustees approved a resolution that moves LMC-TV closer to moving into the Hook and Ladder Firehouse at 147 Mamaroneck Avenue. In an unanimous vote, the trustees directed its representative on the Tri-Municipal Board of Control to vote in favor with the leasing of the firehouse, which the Village currently owns, to LMC-TV. The Tri-Municipal Board of Control, which consists of representatives of the Village of Mamaroneck, the Town of Mamaroneck, and the Village of Larchmont, must approve the resolution in order for it to take effect. LMC-TV, the Village of Mamaroneck and the Board of Control have been examining the lease and renovation options of the Hook and Ladder Firehouse for the past five years. The Harbor Coastal Zone Management Commission received a notice from the State Department regarding recommendations on whether the Army Corps of Engineers Flood Mitigation Plan is consistent with the Local Waterfront Rehabilitation Plan, also known as LWRP. The notice explained that the $70 million Army Corps of Engineers Mitigation Plan is a federally-financed project. The LWRP has a total of 44 policies. The HCZM discovered that the plan has inconsistencies on several policies. However, the final decision will be determined by the State Department. The Village of Larchmont has a new mayor. Elections were held this past Tuesday. Lorraine Walsh, who ran unopposed was named the new mayor. Trustees Peter Fanelli and Carol Miller won with 150 votes and 140 votes respectively. They also ran unopposed. The Larchmont Police Department will be conducting active shooter drills during Spring Break next week. The drills will run from March 21st through the 23rd at Chatsworth Avenue School. There will be a large police presence around the school for the drills, but there is no need to be alarmed. Con Edison and the Larchmont Police Department have reported that residents and businesses have received suspicious calls from people claiming to be Con Edison representatives, who threaten to shut down service. Con Edison is warning customers not to fall for these scams. The false representatives ask for pre-purchased card transfers and money grams. Con Edison also warns of imposters dressed as Con Edison employees who try to gain access to homes or businesses. To report any suspicious activity, please call Con Edison at 1-800-75-CONED or call the Larchmont Police Department at 914-834-1000. Our pet of the week, Shelby, is an orphaned kitten who was rescued at 2 weeks old. Bottle-fed and very spoiled with love, she gets along great with other cats and her foster person’s Pomeranian. She’s very active and curious and needs to be placed in a home with a younger cat or kitten. She loves climbing into bed at night and purrs until she falls asleep. Shelby is about 10 months old and is up to date on her shots. For more information, and to meet other adorable pets, go to http://www.ny-petrescue.org. Remember, if you’d like to keep this show on the air, please support our program by checking out our website at www.lmctv.org. We appreciate any contribution. We always welcome new interns and volunteers, so please send your emails to thelocallive@lmctv.org and join us.